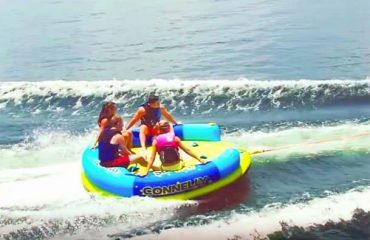 This a BIG towable with a large, deep center crew cockpit for up to two riders and an outside deck radius that can fit at least 3 riders. 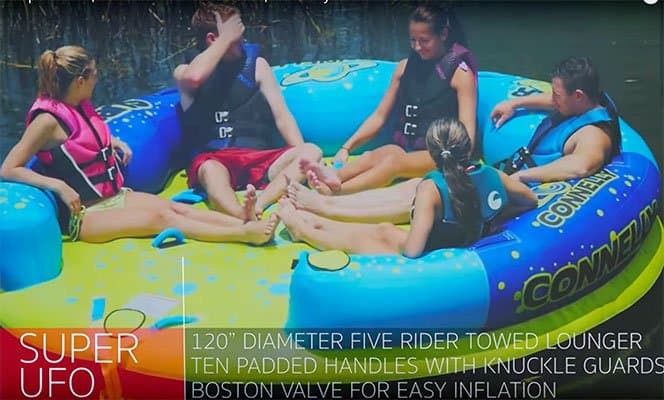 The cockpit is deep enough to stand in and is for the more timid riders because there is very little chance of falling out. 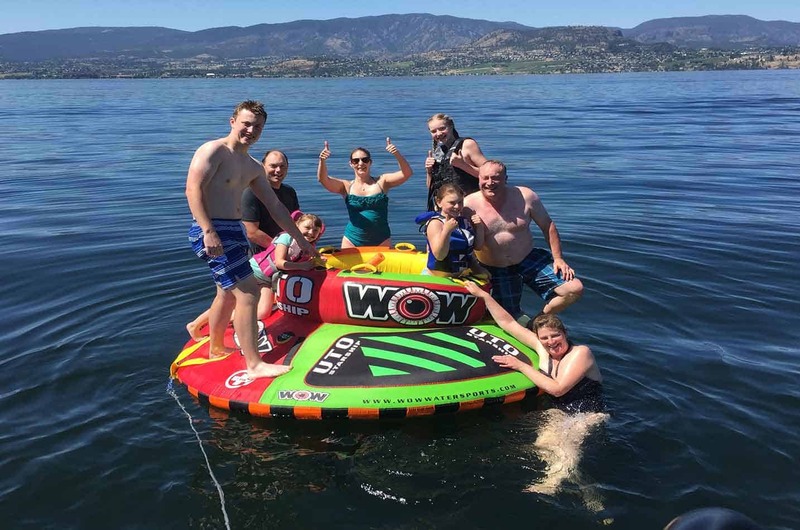 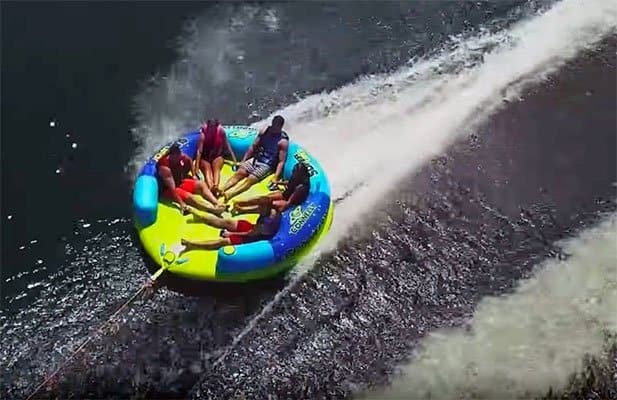 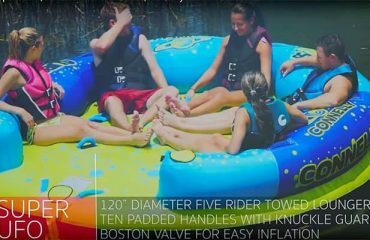 All about the WOW Adventure Tubing – The SUPER UFO- 1 Hour.